When the sun is out the berries are ripe for the pickin'! 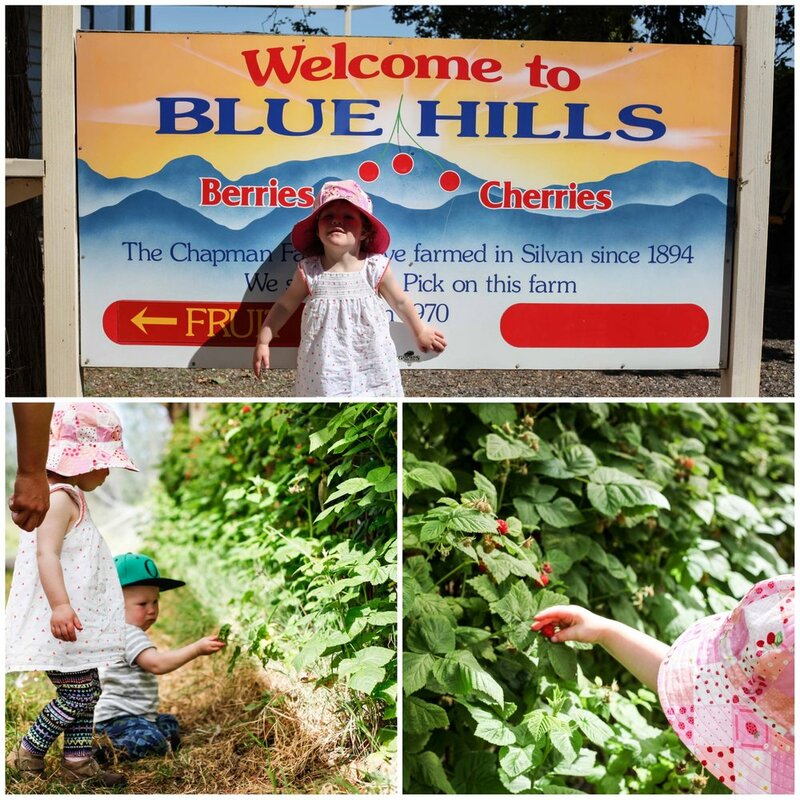 What better way to enjoy a beautiful spring day than slopping on the sunscreen and slapping on a hat and waltzing among the berries at Blue Hills Berries and Cherries UPick! Rows upon rows of red ripe strawberries are so engaging to little hands and you just HAVE to let them taste along the way. Entry into Blue Hills gives you a 500gm container to fill per adult (and 250gm for each child 3-14 years) with what ever berries are in season on your trip but entry also allows you to nibble as you pick. The young ones - some more quickly than others - will discover it is the bright red berries that taste the best and will be helping you fill the punnet OR bucket in no time. Although strawberries might be Bub's fave, it is the raspberries that tickle Mamma's fancy the most. These are draped under netting and it is actually a nice break from the sunshine once you have explored the strawberry rows. In other warmer months of the year expect to also find blackberries, boysenberries, cherries, loganberries and youngberries. Blueberries are also on the orchard but are only an option for the over 14 year olds as they are so fragile! Of course you can pick more than the punnet you get at the entry and are charged by the weight once you leave. Mamma's recommends bringing a helping hand to travel up and down the hill if you have toddlers but definitely give it a go - the berry stained smiles are adorable! Mamma's special mention: Be sure to check the Fruit Report on the Blue Hills website the night before your visit to check what fruit you can expect to pick on your visit.